David Allen “Bones” Baronner, 67, Altoona, died Saturday at his residence, after a brief illness. He was born in Altoona, son of the late Vincent S. and Helen M. (Marzucco) Baronner. On Nov. 3, 1979, he married Kathy E. “Peach” Peachman in Altoona. In addition to his wife, surviving are a son, Brandon V. (Erin) Baronner of Bethel Park; a granddaughter, Olivia Josephine Baronner; and five siblings: Anna Grace Durbin and Vincent Steven (Carol) Baronner, all of Rochester, N.Y., Frank W. (Kris) Baronner of Altoona, and Terry (Dawn) Baronner and Jerry (Sheri) Baronner, all in Virginia. David was a 1969 graduate of Altoona Area High School and attended Northern Virginia Community College. Since 1997, he worked as a sales representative at Lewistown Paper Co. He was a member of Cathedral of the Blessed Sacrament, Altoona. 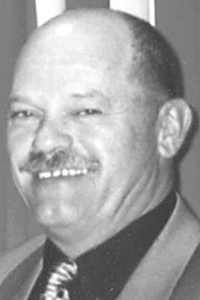 He was also a member of Buccinese Club; Swiss Rifle Club; Catholic War Veterans; St. Stanislaus Kostka Brotherhood; the Newburg Volunteer Fire Association; and the Gerald Spaulding Chapter of PIAA Basketball Officials. David was a retired PIAA basketball and football official. In 1996, he officiated the state football finals and in 1998, the state basketball finals. He was a volunteer referee for the Special Olympics and coached basketball and football for McNelis Elementary School. David enjoyed spending time with his family and granddaughter, golf, Penn State and Pittsburgh Steelers football and yearly family vacations with Kevin Canole and his family in Stone Harbor, N.J.
Friends will be received from 4 to 8 p.m. Tuesday, Sept. 11, 2018, at Jones Funeral Home, Altoona, where a vigil for the deceased will be held during the visitation. A funeral Mass will be celebrated at 10 a.m. Wednesday, Sept. 12, 2018, at the Cathedral of the Blessed Sacrament, Altoona, Monsignor Robert C. Mazur celebrant. Committal Rites will be held at Calvary Cemetery, Altoona. In lieu of flowers, memorial contributions may be made to Blair County Special Olympics, 4120 Second Ave., Altoona, PA 16602 or to Home Nursing Family Hospice and Palliative Care, 201 Chestnut Ave., Altoona, PA 16601.